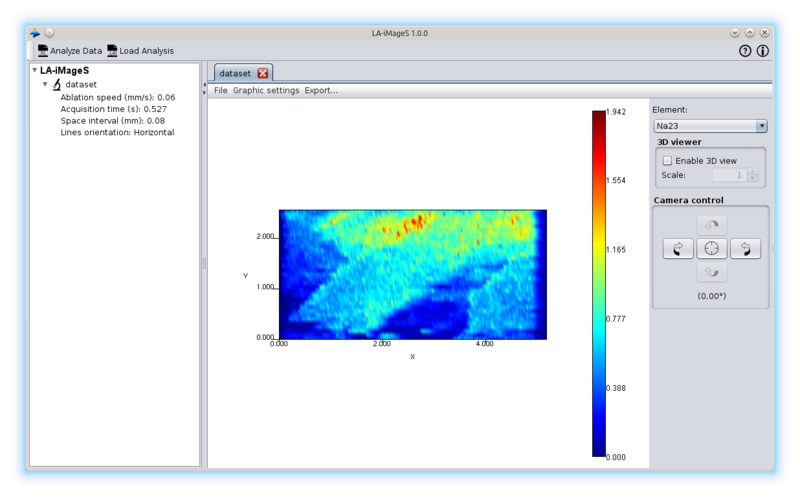 LA-iMageS is an open source application to generate 2D/3D images for the elements present in a set from ICP-MS spectra. Extract the elements from the ICP-MS (Inductively Coupled Plasma Mass Spectrometry) spectra. There is available a online tutorial that shows you how to work with LA-iMageS. Moreover, you can download the complete user manual in PDF. LA-iMageS is a multi-platform application, this means that there are available distributions for Windows and GNU/Linux based operating systems. LA-iMageS is also open-source with license GPLv3.